SugarSmile: SM City Sta. 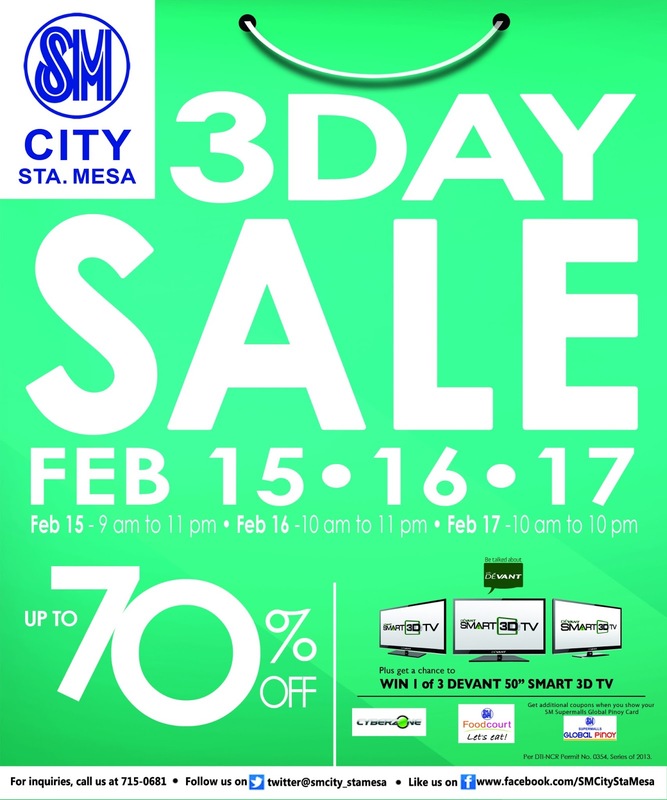 Mesa 3-Day Sale on Feb. 15-17! 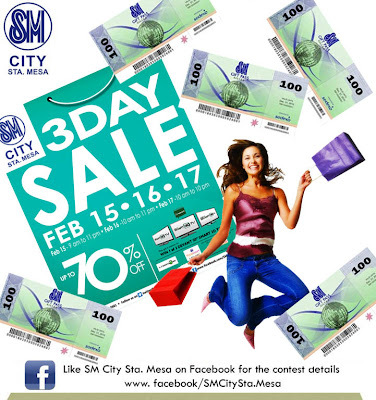 SM City Sta. 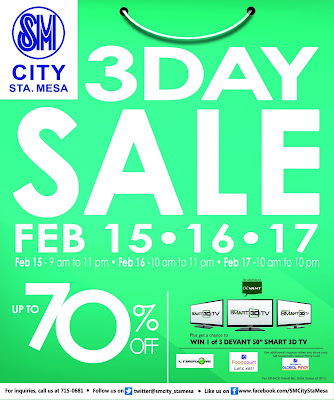 Mesa 3-Day Sale on Feb. 15-17! August last year, I took part in SM City Sta. Mesa's 3-day Sale, and I must say that I had fun shopping because my purchases are within my nifty budget. 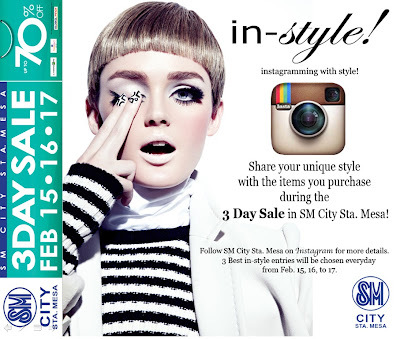 Good thing, its a payday Friday this February 15 because they are holding a 3-day Sale again! If I said that they were packed last year because there are tons of shoppers around, this time, SM City Sta. Mesa is packed with prizes, promos and huge discounts for you and your family. 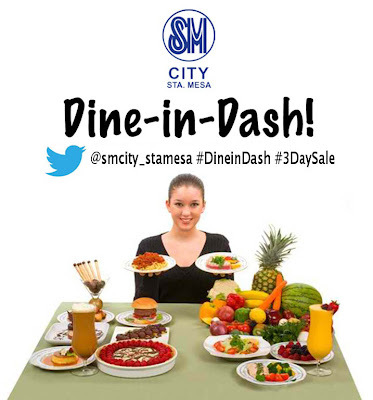 Did you know that in the first 2 hours of the first day of sale, an additional 10% off is slashed to your purchases if you're an SM Advantage Card holder? 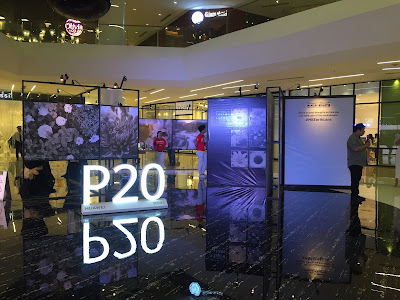 Not only that, you can get a 5% rebate if you spend a minimum of Php5,000. 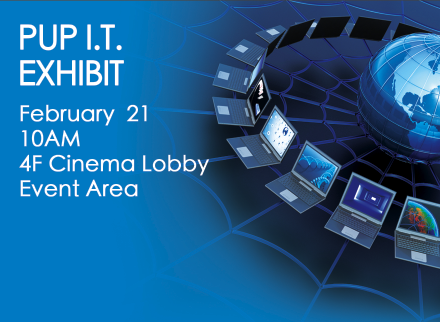 But that's not all, you can take back Php100 with every Php2000 purchase on Saturday and Sunday. 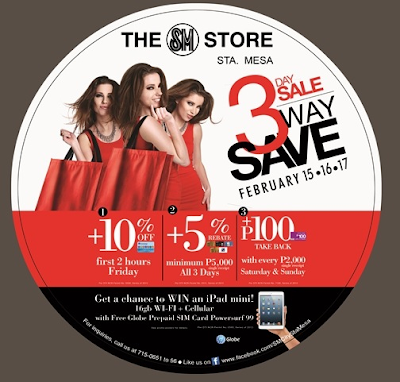 Sale and you even get the chance to win an iPad mini, I think that could be reason enough why you should go to this three day event. Oh, and if these discounts still don't work for you, here are their recent promos that can make you win special prizes and stuff! Show the world your BEST BARGAIN BUY! Can't wait for all of that! 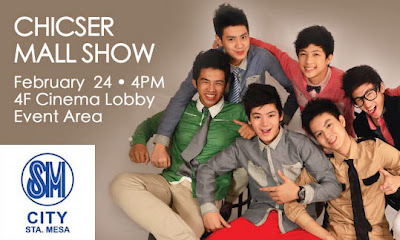 Head on to SM City Sta. 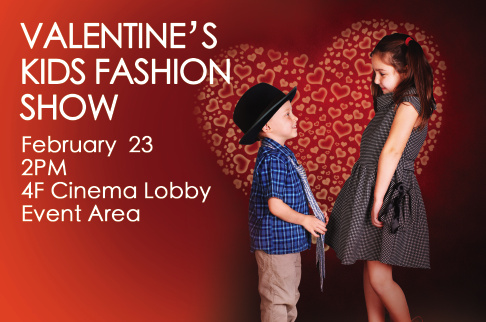 Mesa this Friday to Sunday to get amazing deals, discounts, entertainment and food. They've definitely got it all for you. 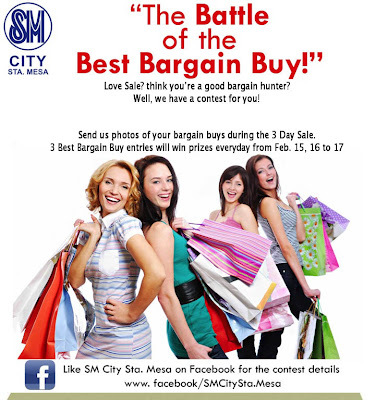 For more information about the SM 3-Day Sale, you can visit their Facebook Page at https://www.facebook.com/SMCityStaMesa and Twitter at @smcity_stamesa.